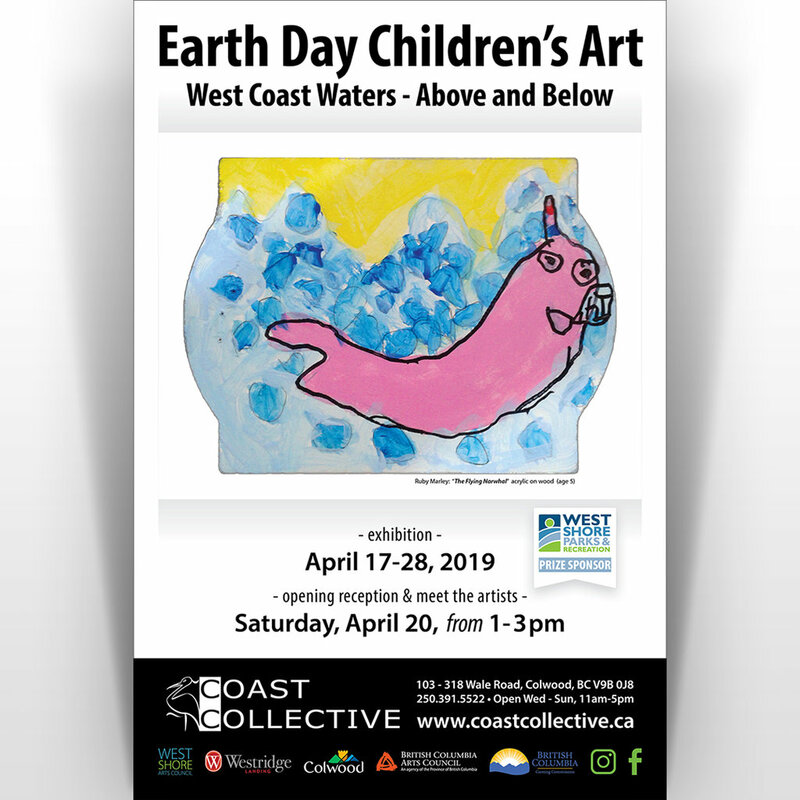 There's still time for artists age 12 and under to submit art to our upcoming Earth Day Children's Art show! 'The Flying Narwhal' by Ruby Marley, age 5, is one of the wonderful paintings that will be hanging in the exhibition. The theme is West Coast Waters: Above and Below. Pieces can be 2D or 3D, and framing is not required for this show. Bring in art to the gallery between April 10-14 and sign in on site. Contact Jessica at gallery@coastcollective.ca if you have questions. The show runs April 17-28, with a reception from 1-3 pm on Saturday April 20 for artists, their grown ups and their friends. We can't wait to see and share more fantastic art!